Infographics are popular at the moment, particularly as a marketing/link building tool, but they should not be takenlightly. Good infographics are like gold – pretty and shiny and valuable commodities. Shoddy infographics are like lead – boring and dull and not popular among the masses. 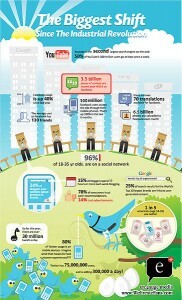 Good infographics take time and effort to create, and then more time and effort to disseminate. To start off with you need to pick a topic that is not only relevant to your business but that is also likely to generate interest among your target audience. If you own a shoe store and you want to attract more customers it’s probably not a good idea to create an infographic that documents the stages of athletes’ foot. But you could win customers with a peppy infographic of the evolution of shoes. It’s an even better idea to piggy back on a much anticipated event. Take the 2012 Olympics for instance, there are a lot of events, most of which require shoes, most of which are uniquely designed for optimum performance. There’s bound to be a good infographic or two in there somewhere. Then you need to do the dirty work – or as some people prefer to call it, research. You will need interesting information to make your infographic interesting. But, more than that you will need credible information. If you don’t have any of your own research you should approach some experts in your field and ask them pertinent questions. Use available studies if there are any, just make sure you don’t infringe any copyrights. Always credit your sources. Always. Finally, you need to put it all together. This is where it can get complicated. Your best bet is to hire a designer, but that isn’t always possible with limited budgets. There are sites that help you with that problem. Visual.ly, for example, helps you quickly and easily create charts and graphics to present your data, well, visually. Plot out your ideas before you start the actual creation process. Have a physical template in front of you to work off. Don’t over-complicate things. Simplest is always best. Boil down information to concise bullet points. Keep the diagrams and pictures easy to digest. Remember that the images will carry the infographic, so take care when choosing them. Don’t make it too long. People are more likely to scroll through an infographic than a long blog post, but that doesn’t mean you can tax their index fingers with reams of pictorially presented information. Make it easily shareable. Include social media buttons so that people can tweet it, share it on Facebook, Digg it or Stumble it. Ensure your branding is prominent, so people know where the graphic comes from, but not so overwhelming that the message is lost. Personalise your message – don’t use a generic email request template. Research the blog beforehand; know what topics are covered, which ones get the most comments and whether guest posts are allowed. Wind this information into your email; bloggers will be flattered and touched that you took the time to get to know them. Don’t use a spammy subject line. Bencken suggests: Infographic title [infographic], so bloggers know what they’re getting. Try not to have the words “digital marketer”, link builder” or “SEO expert” in your email stationary. Go with something like “Copy editor”, which is not plagued by negative connotations. Infographics may be popular, but they are not easy. Before you hit on the idea of creating heaps of infographics for your digital marketing campaign, consider whether you have the time to do them properly. Who’s who of social media: where did the old guard go?